Army Sgt. Bowe Bergdahl will plead guilty to charges of desertion and misbehavior before the enemy, the Associated Press reported on Friday. BREAKING: Army Sgt. Bowe Bergdahl expected to plead guilty to desertion and misbehavior before the enemy. Bergdahl deserted his post in Afghanistan on June 30, 2009, and was captured by the Taliban shortly after and held prisoner. He was released on May 31, 2014, as a result of a prisoner swap for five members of the Taliban who were imprisoned in Guantanamo Bay. Shortly after his release, his parents appeared in the White House Rose Garden with President Barack Obama, where the president praised Bergdahl's service. This story quickly unraveled as questions grew, and he was charged with desertion and misbehavior before the enemy in March of 2015. 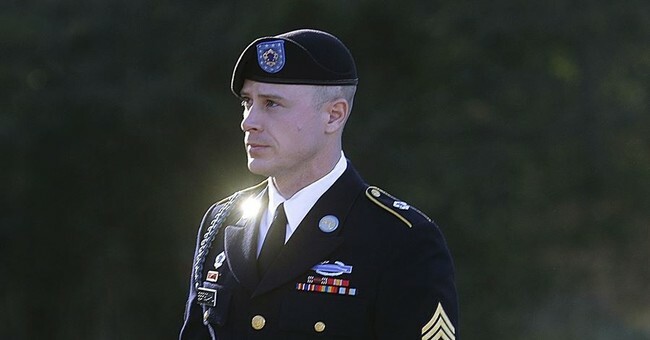 In August, Bergdahl waived his right to a jury trial. His lawyer attempted to get the charges dropped as President Donald Trump had referred to Bergdahl as a "traitor" who "should have been executed" during the campaign, which his lawyer argued meant it was impossible for him to get a fair trial. Bergdahl had previously defended deserting his post as he was attempting to "draw attention" to what he believed were abuses within his unit and the military. The charge of desertion carries a penalty of up to five years in prison, whereas misbehavior before the enemy is punishable with a life sentence. According to the AP, his sentencing will begin on October 23.